Philomena is the true story of one mother’s search for her lost son. Falling pregnant as a teenager in Ireland in 1952, Philomena Lee was sent to the convent of Roscrea to be looked after as a “fallen woman”. When her baby was only a toddler, he was whisked away by the nuns to America for adoption. Philomena (Judi Dench) spent the next fifty years searching for him in vain. Then she met Martin Sixsmith, a world-weary journalist as cynical as Philomena was trusting. Together they set off for America on a journey that would not only reveal the extraordinary story of Philomena’s son, but also the powerful bond that grew between Philomena and Martin. Based on Sixsmith’s acclaimed book “The Lost Child of Philomena Lee: A Mother, Her Son and a Fifty-Year Search”, the film is a bitter-sweet drama, a compelling narrative of human love and loss and ultimately a celebration of life. 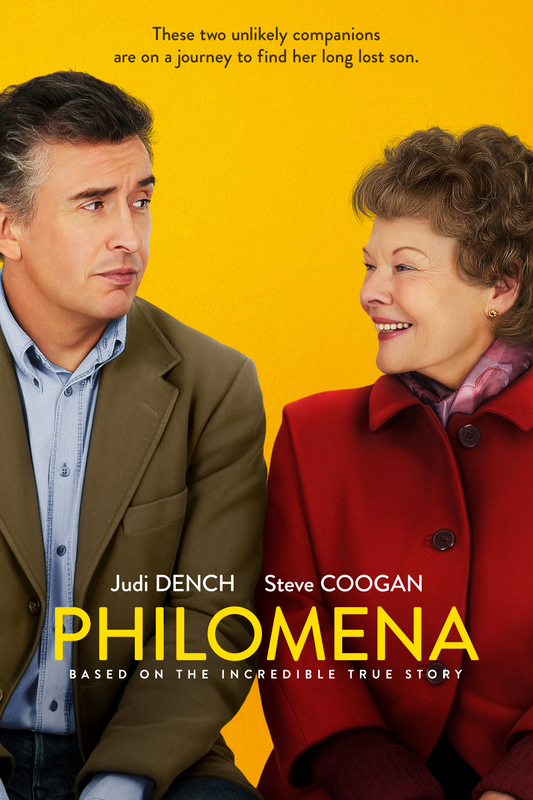 Philomena has been nominated for 4 Academy Awards including Judi Dench for her phenomenal lead performance and the prestigious Best Film category. This film has taken took the NZ box office by storm and played on as an audience favourite.